NatraBio is an American, homeopathic manufacturer of natural supplements. They have been around since the late 1970s and are perhaps best known for their liquid homeopathic remedies which are fairly popular in natural food stores today. Most scientists and practicing physicians view homeopathic treatments, in general, as ineffective and a pseudoscience. The FDA has largely ignored homeopathic treatments as long as the products did not make any claims as to its effectiveness. However, the FTC as of recently has begun really cracking down on most homeopathic manufacturers. I went with an open mind into NatraBio’s Thyroid Support supplement in order to give it a fair review as every review deserves. Indeed, guilt by association, with some companies who don’t follow regulations, is a fallacy. 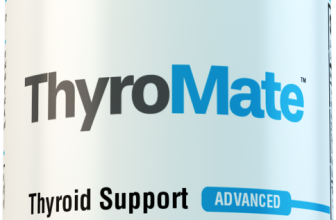 WHAT IS NatraBio Thyroid Support? The supplement comes in two forms: a liquid dropper that you can ingest, or a tablet that quickly dissolves. Much like the other products sold by NatraBio, this thyroid support supplement is a natural homeopathic medicine. Homeopathic medicines are based on the idea that a body can cure itself if given a very small amount of treatment. The treatments refer to the herbs, minerals, and other ingredients within each medicine. All of these ingredients are diluted as well. The further to a degree an ingredient is diluted, the more “potency” it has, according to practicing homeopathics. As with any supplement, it is vital to look at the supplement facts label as the ingredients within a supplement ultimately determine its effectiveness. This is no different with NatraBio Thyroid Support. As seen in the picture, the ingredients within this product are: Calcarea Iodata, Fucus vesiculosus, Kali Iodatum, Thyroidinum, Calcarea Carbonica, Causticum, and Ferrum Iodatum. If you are wondering what the X’s mean, that refers to the “potency” of the homeopathic medication, as mentioned before. Most of the ingredients are 6X, 10X, or 30X. In the homeopathic world, this would be considered low potency. Unless you are very knowledgeable in homeopathic medicines, you probably do not recognize many of these remedies. However, this is largely because NatraBio opted to use the official name for each ingredient. You probably do recognize some of these more common terms used for the ingredients, such as Bladderwrack (Fucus Vesiculosus) or Sheep Thyroid Extract (Thyroidinum). Calcarea Iodata and Kali Iodatum both refer to Iodine, although extracted from different sources. Iodine is the most important mineral in an thyroid supplement so it is great that NatraBio included it in their supplement. However, I am not sure how much the dilution process affects the overall net amount of Iodine in the supplement. It would have been helpful for NatraBio Thyroid Support to list exactly how much Iodine is contained within this supplement instead of having their customers do guess work. However, I am more concerned with the Thyroidinum, or Sheep Thyroid Extract, contained within this supplement. I have long precautioned the use of an actual thyroid within a supplement, without the advice and administration of a medical professional, as they may contain actual thyroid hormones. This may have permanent effects on the body and could damage the thyroid even more. The safety of the other ingredients seem fine, but the Sheep Thyroid Extract is worrying to me. It is important to accurately split and access NatraBio’s Thyroid Support supplement from their parent company, NatraBio, when determining the experiences regarding this company. While I have heard positive remarks from the homeopathic community in general regarding NatraBio and how they operate, these sentiments may not extend to other communities as well. While researching this company and their products, I learned that NatraBio is fighting a lawsuit regarding alleged deceptive advertising practices. Indeed, as seen in the case text here, some of NatraBio’s popular products such as “Smoking Withdrawal” and “Children’s Cold and Flu” state that they relive many of the symptoms associated with these products. This is a violation of FTC’s guidelines for dietary supplements as the document states since no scientific evidence is provided to backup their claims. It seems that NatraBio put those statements on their products without having any basis for them. I do not know how this lawsuit will affect the company and their products, but it is something to keep in mind when purchasing one of their products as what it says on the label, may not be exactly true. On the topic of specifically NatraBio’s Thyroid Support, the reviews and experiences can be largely categorized as mostly negative or netural. While a very few report seeing some positive benefits, perhaps from the likelihood that their thyroid problems were very unserve to start with, many reviewers do not report any noticeable benefits. It is important to note that those who take NatraBio Thyroid Support supplement, will most likely need to take another supplement or medication to fully feel a difference and help get relief from the symptoms of thyroid disorders (You can check out our full list of the best thyroid supplements of 2017 here). 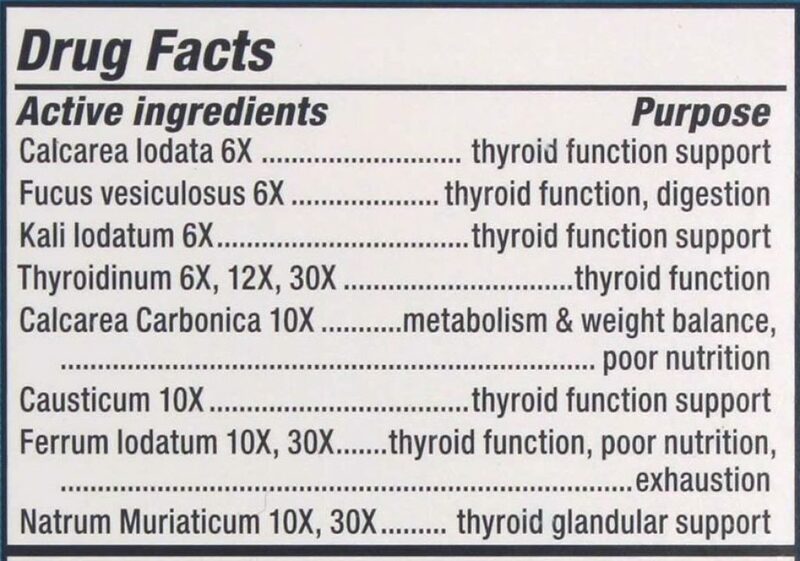 I would say that this supplement, by itself, is not a full thyroid support supplement on its own, but when combined with another more powerful one with more ingredients, it may be a good match. But again, on its own I would avoid it. Took this product for a bout a week and ended up in the psychiatric ward because I tried to kill myself . I highly recommend u consult a dr before using this product of any natural supplements. Kill yourself, really? I am extremely suspicious of this kind of a reply on a “natural” product of such great importance that they did not report it appropriately or said nothing about their mental health status prior to taking this product. I am going to order it anyway. I’ll let you know! Well-said Susan. I myself have been using this product for many months with good results. Start low and go slow, you may do better with half of the recommend dosage.